HOGANSBURG, N.Y. – New York State Governor Andrew Cuomo has signed legislation giving St. Regis Mohawk Tribal Police permanent jurisdiction over and area east and south of the hamlet. 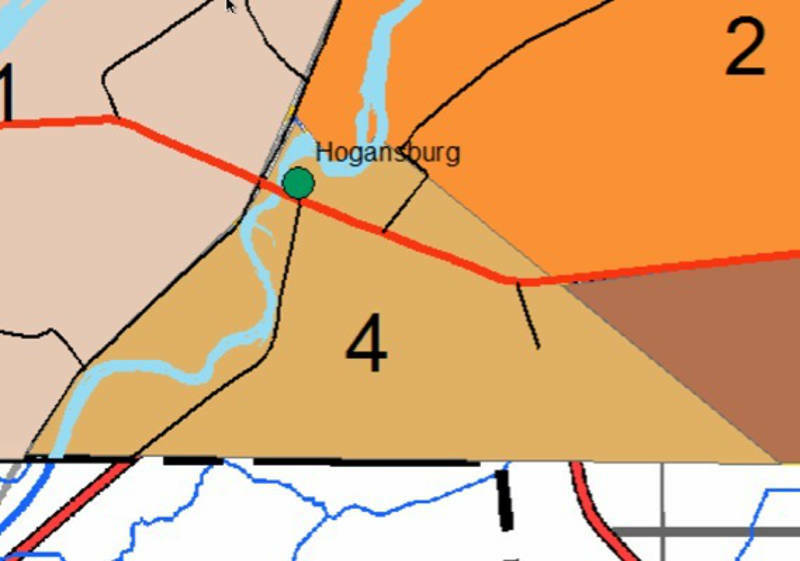 The area of roughly 2,000 acres, known as the Hogansburg Triangle, has been patrolled by police since 2015. It’s an area roughly from the St. Regis River in the west, the base of St. Regis Road and Cook Road in the north and County Route 95 in east. But a sunset clause in the original law, set to expire in September 2018, would have reverted to the old standard where U.S. State courts didn’t recognize tribal police as being allowed to enforce New York State law within the triangle. If the law expired, it would have also left a law enforcement hole because the area is not regularly patrolled by New York State Police, according to the Tribal Council. The permanent authority also allows court cases, such as DWIs and other criminal charges served in the area, to be prosecuted. “The signing of Senate Bill 4276 by Governor Cuomo continues to provide clarity to law enforcement and resolves jurisdictional ambiguity in a manner that respects tribal sovereignty,” Police Chief Eric Thompson said.